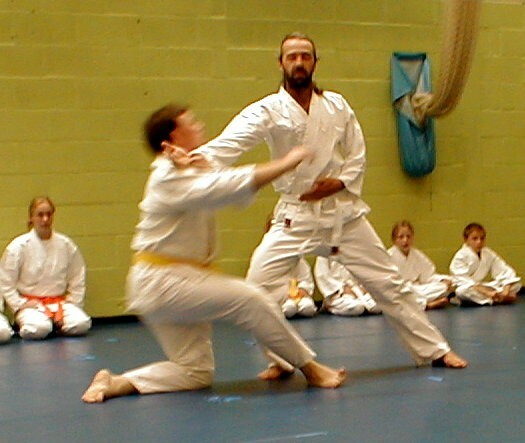 Bridport Aikido Club was founded in February 1997 by Andrew Chamen (2nd Dan) and was handed over to Jake Birkett (3rd Dan) in July 2003. Andrew MacGillivary (2nd Dan) ran the club from 2008-2012 whilst Jake Birkett was running a club in Canada. We are a member of KSMBDA (Kolesnikov's School of Mind and Body Development with Aikido) which is officially recognised by the BAB (British Aikido Board). The head of the school is Sensei Phil Bolt (5th Dan) from Swindon. 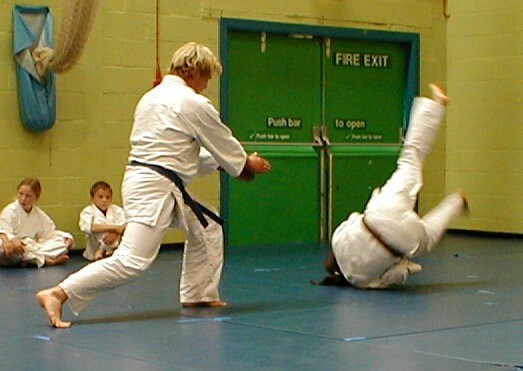 We train at Bridport Leisure Centre on Wednesday evenings in the Main Sports Hall. Children and adults of all ages and levels of fitness are welcome. Take a look at the home page for details.